A Bermuda-based property website is to expand into Guernsey. 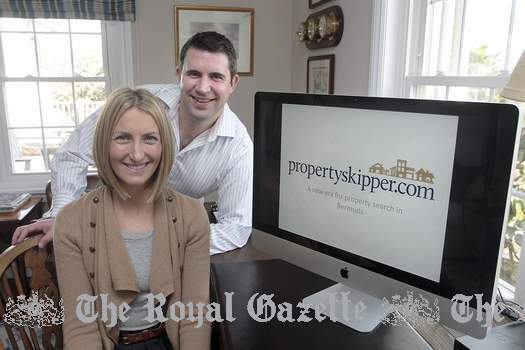 Propertyskipper.com has already signed up leading estate agents in the Crown Dependency in the Channel Islands for its website — and has plans for further expansion. Propertyskipper.com director Peter Goodall said: “Our platform has been a great success in its first few years — we have consistently seen both substantial traffic growth and increased agent enquiries on the site. Propertyskipper.com was founded in 2013 in Bermuda and moved into Barbados a year later. It now advertises the listings of more than 40 real estate agents in Bermuda and Barbados. The real estate agents already signed up in Guernsey include Livingroom, Sarnia, Swoffers and All Island Property with others in the process of joining. Mr Goodall said that Guernsey, which has a population of around 65,000 on 30 square miles, is similar to Bermuda. He added: “Both are well-respected financial centres — indeed many businesses operate in both islands, which drives a healthy flow of professionals between the two. Mr Goodall added that Jersey, also in the Channel Islands, the Isle of Man, as well as the Cayman Islands and the British Virgin Islands, were also on the firm’s radar. He explained that the other target islands had similar offshore business and large expatriate communities, who regularly moved between company locations and new jobs. Mr Goodall said: “Looking for the next place to go, what we see on the site, we get more crossover from Guernsey than perhaps we do from Bermuda and Barbados. “There is much more connectivity between these islands that there might be with Turks and Caicos or Barbados-type islands. We generate a lot of enquiries through the expatriate market. Mr Goodall added: “The Caribbean property market, like Bermuda, has had its problems over the last five or six years. Mr Goodall added that Guernsey was familiar with similar property websites as the UK was an early leader in setting up one-stop real estate sites. He said: “Naturally, we’re looking at islands like BVI and Cayman as well and we will see how it goes in Guernsey. Should it be a success, Jersey would be another island that might fit, as would the Isle of Man. “Turks and Caicos is another interesting market, but our focus over the next couple of years is islands where there is a strong financial community and a strong expat community.